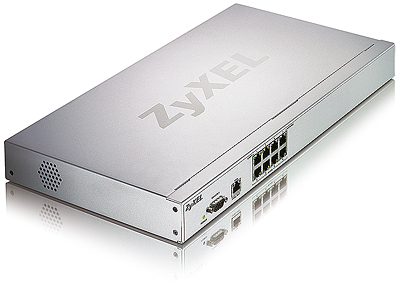 The NXC-8160 Wireless LAN Controller is the central component of ZyXEL's unique "Interference-Free" architecture. The unique solution enables the signals on the same channel to be transmitted through every access point in the system without the co-channel interference that plagues other WLAN solutions. Clients only need to associate with the controller once in order to move within the channel blanket without experiencing inter-AP handoffs. As a result, different WLAN security settings will have no impact on its speed; that is, the zero-delay roaming functionalities can retain its outstanding "always-connected" performance even with the most sophisticated encryption and authentication mechanisms applied. Simply put, the solution provides the flexibility, performance and simplicity required by enterprises to support data, video and voice (VoWLAN) applications in ubiquitous WLAN deployments. The 8-port controller can be used individually or in combination with multiple controllers to meet the needs of crowded enterprise environments of any size or kind. ZyXEL's Unique Interference-Free Channel Blanket architecture requires no RF cell planning, and it allows ubiquitous placement of thin APs wherever convenient. Consequently, the cost of deploying and owning an enterprise-class WLAN can be dramatically reduced. 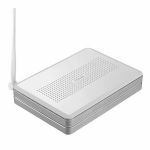 It is no doubt that the NXC-8160 Business Wireless LAN Controller is the most sophisticated WLAN infrastructure that tremendously improves WLAN service quality, while Zero-Delay roaming provides the best VoWLAN user experience. 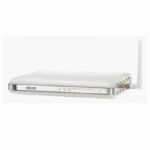 NXC-8160 is an 8-port WLAN controller but not limited to 8 ports; its centralized configuration allows you to use a single management interface to manage multiple NXC-8160 on networks of a larger scale . ZyXEL's Wi-Fi Collaboration technology overcomes the difficulties of using RF on data networks in a unique way. With multiple thin APs placed on the same channel and the centralized Wireless Controller making intelligent decisions, a ZyXEL WLAN can provide uplink diversity for client transmissions to enable higher tolerance to RF instabilities and to offer inherent redundancy in the AP coverage. 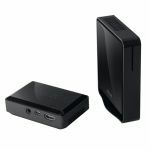 The NXC-8160 supports up to 8 units, and the ultra-thin plug-and-play AP does not need any configuration in the installation process. With simplicity like this, the NXC-8160 can effectively minimize the installation and maintenance efforts involved.